Dr. Abdul Qadeer Khan is a famous Pakistani nuclear scientist and a metallurgical engineer. He is widely regarded as the founder of gas-centrifuge enrichment technology for Pakistan’s nuclear deterrent program. Pakistan’s nuclear weapons program is a source of extreme national pride. As its “father”, A.Q. Khan, who headed Pakistan’s nuclear program for some 25 years, is considered a national hero. 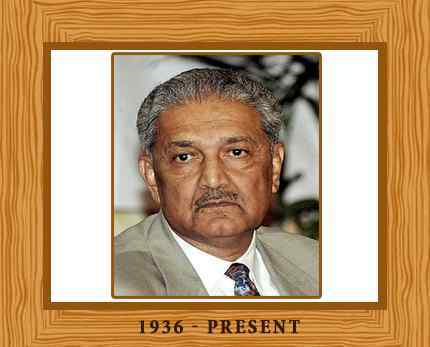 Dr Abdul Qadeer Khan was born in 1936 in Bhopal, India. He immigrated with his family to Pakistan in 1947. After studying at St. Anthony’s High School, Khan joined the D. J. Science College of Karachi, where he took physics and mathematics. His teacher at the college was famous solar physicist Dr. Bashir Syed. Khan earned a B.Sc. degree in physical metallurgy at the University of Karachi in 1960. Khan accepted a job as an inspector of weight and measures in Karachi after graduation. He later resigned and went to work in Netherlands in the 1970’s. Khan gained fame as a talented scientist at the nuclear plant he worked in. He had special access to the most restricted areas of the URENCO facility. He could also read the secret documentation on the gas centrifuge technology. In December, 1974, he came back to Pakistan and tried to convince Bhutto to adopt his Uranium route rather than Plutonium route in building nuclear weapons. According to the media reports, A.Q. Khan had a close and cordial relationship with President General Mohammad Zia ul-Haq and the Military of Pakistan. He also maintained a close relationship with the Pakistan Air Force. After his role in Pakistan’s nuclear program, Khan re-organized the Pakistani’s national space agency, SUPARCO. In the late of 1990s, Khan played an important role in Pakistan’s space program, patricularly the Pakistan’s first Polar Satellite Launch Vehicle (PSLV) project and the Satellite Launch Vehicle (SLV). Khan’s unrestricted publicity of Pakistan’s nuclear weapons and ballistic missile capabilities brought humiliation to the Pakistan’s government. The United States began to think that Pakistan was giving nuclear weapons technology to North Korea, to get ballistic missile technology in exchange. Khan also came under renewed scrutiny following the September 11, 2001 attacks in the U.S. He allegedly sold nuclear technology to Iran. However, he was pardoned in 2004, but placed under house arrest. 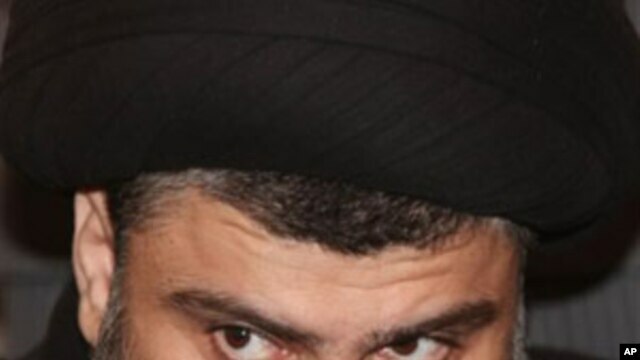 After his triumphant return to Iraq on January 5, an aide to firebrand anti-U.S. cleric Moqtada al-Sadr says Sadr has gone back to Iran, where he has spent more than three and a half years studying in the Shi’ite theological center of Qom. Analysts are debating the implications of Sadr’s latest move. Shi’ite cleric Moqtada al-Sadr has surprised many observers by going back to Iran just over two weeks after his much-commented-upon return to Iraq. The U.S. has pledged to withdraw its remaining 50,000 troops from Iraq on schedule by the end of this year. Those troops are involved in mostly support and training of Iraq’s security forces. Al Arabiya TV, quoting several of Sadr’s close allies, says that the anti-U.S. cleric returned to Iran Thursday to resume his religious studies. Analyst Houchang Hassanyari, who teaches political science at Canada’s Royal Military College, says that some of Sadr’s allies are claiming that he is returning to Iran due to “alleged threats by the U.S.” and others. Nevertheless, Hassanyari believes that Sadr is merely returning to complete his theological training in Shi’ite jurisprudence, or “fiqh”, with top Iranian scholars. Hassanyari adds that many in Iran’s clerical leadership are hoping that Sadr will eventually serve as a bridge between both country’s leaderships, possibly assuming a position similar to that of Iran’s Supreme Leader Ayatollah Ali Khamenei. Moqtada al-Sadr comes from a family of Iraqi religious leaders, including his grandfather and his uncle, who were both top ayatollahs. The two were tortured and killed during the lengthy rule of former Iraqi leader Saddam Hussein. Hassanyari notes that there has been talk of Sadr eventually taking the place of Iraq’s venerable Shi’ite cleric Ayatollah Ali Sistani. For that to happen, however, he stresses, Sadr must become a “marjah” or religious authority first. Being a marjah is one step beyond being an ayatollah. Washington: Given the rapid increase of Pakistan’s nuclear arsenal, a former CIA analyst suspects the country has a commitment to provide a nuclear bomb to Saudi Arabia. “One of the great unknowns is whether they (Saudi Arabia) have already got a deal with the Pakistanis for a bomb. That’s one of the mysteries of the contemporary Middle East and South Asia,” said Bruce Riedel, a former CIA analyst who is currently with the Brookings Institute, an eminent American think-tank. “Why does Pakistan have the fastest growing nuclear arsenal in the world? Why are they producing more bombs than the Indians by double or triple? Is there some external partner who they have a commitment to?” he asked at a panel discussion on Obama administration’s foreign policy organised by the Brookings Institute. “On this issue there’s a lot of smoke, there’s very little fire that anyone has seen, but if you ask my bottom line I think there probably have been discussions between the Saudi and the Pakistanis, and the Saudis have a Pakistani commitment to provide a bomb and you can take a Pakistani commitment to provide a bomb to the bank and cash it for probably nothing,” Riedel said. Riedel said Saudi Arabia is deeply disappointed with US President Barack Obama. “In the beginning, they were very optimistic like everyone else about Obama in the beginning. Riyadh is actually the first Arab country that President Obama went to even before his speech in Cairo. But the Saudis have become very disillusioned. They’ve demonstrated that disillusionment this year in a number of ways,” he noted. Saudi Arabia, he said, recently refused to take their seat in the UN Security Council. “They argued that that was somehow a spite to the United States. I’m not sure most Americans feel that way. But that was the Saudi argument. They promised to give the government of Lebanon USD 3 billion worth of arms and to buy them from the French. That is also somehow supposed to be a spite to the United States that we won’t get the arms from the United States,” he said. Though the media is filled with Saudi anger and disappointment for the United States, he said, but at the end of the day the US-Saudi relationship is not broken. “This is our oldest alliance in the Middle East that dates back to 1945. It continues to function in many ways despite the public irritation,” he said. A founder of Iran’s Revolutionary Guards now admits that the Islamic Republic was seeking to acquire nuclear weapons. This is the first time any regime official has made such an admission, even as another report claims that one of Iran’s most radical clerics was the spiritual overseer of the nuclear weapons program. But that claim falls short of the truth. In the late 1980s, a letter by Mohsen Rezaei, then the chief commander of the Guards, asking Khomeini, the founder of the Islamic Revolution, for approval of the nuclear bomb program was revealed. It showed the leader had approved of seeking nuclear weapons. CNN speaks with Fareed about his interview this week with Iranian President Hassan Rouhani. This is an edited version of the transcript. You can watch the full interview with Rouhani on “Fareed Zakaria GPS” this Sunday at 10 a.m. and 1 p.m. ET on CNN. 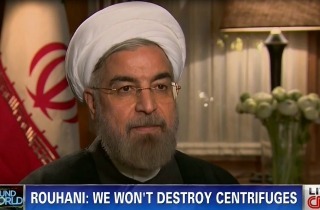 Rouhani said that there would be no destruction of existing centrifuges “under any circumstances.” It seems he is going even going further than what his foreign minister, Mohammad Javad Zarif, told CNN’s Jim Sciutto this week. What’s going on here? Because there could be, potentially, some sort of fundamental disagreement between Iran and the United States. That’s exactly what I worry about. I think you’re right. It’s the first time an Iranian official – and this is the president – has laid out his vision, if you will, of the final agreement. And what he said to me, what Rouhani said was, look, we intend to have a robust civilian nuclear program. You can have as many inspections as you want, but we are not going to roll back that program. In fact, we’re going to expand that program. Now, that’s a very different vision from what the United States has laid out, where they expected significant rollback of the program. They talked about shuttering some of those centrifuges. They talked about dismantling the heavy water reactor at Arak. But he [Rouhani] made clear, categorically, specifically and unequivocally, none of that is going to happen. So I think we have a train wreck on its way here. Iran might briefly accumulate more low-enriched uranium under new limits, as it still cannot change the material to a less bomb-suitable form, Reuters reports. Envoys and analysts said there is no immediate cause for alarm over a possible short-term boost in the stocks under Iran’s accord with the five permanent U.N. Security Council member nations and Germany. One diplomat, though, predicted careful global scrutiny of Iran’s preparations to turn its gaseous uranium into solid oxide. A site for carrying out that task was scheduled to enter trials last month, and then to launch “immediately after” vetting was complete, according to an International Atomic Energy Agency safeguards assessment from November. However, the nation appears to have fallen behind in preparing the so-called Enriched UO2 Powder Plant, according to Reuters. The facility would allow Iran to limit its low-enriched reserves by processing the material into oxide powder, which would be less suited for conversion into bomb-grade, highly enriched uranium. Washington says Iran has pledged to possess no more low-enriched uranium gas at the end of the pact’s six-month duration than the nation held this week, when the interim nuclear agreement took effect. The deal is intended to carve out space for negotiators to address suspicions that Iran is pursuing a nuclear-arms capability under the guise of a peaceful atomic program. A high-level Obama administration official said the nation would hold less than 16,865 pounds in July, when the deal is slated to expire. Postponing the oxide plant’s activation means the site would have to operate faster than planned, if Tehran is to fall in line with the stockpile restriction after six months. Iran is believed to produce roughly 550 pounds of low-enriched uranium each month, so it would have to process at least that amount into powder monthly to stay within limits. Meanwhile, energy-industry observers say the November nuclear deal appears to have slightly boosted Iran’s petroleum sales, Reuters reported separately. The news agency valued the increase at roughly $150 million each month, and linked the change to growing confidence among oil purchasers in anticipation of the atomic accord. This article was published in Global Security Newswire, which is produced independently by National Journal Group under contract with the Nuclear Threat Initiative. NTI is a nonprofit, nonpartisan group working to reduce global threats from nuclear, biological, and chemical weapons. Iran’s President Hassan Rouhani recently sat down with CNN reporter and host Fareed Zakaria to discuss the terms of a tentative deal between his country and the United States which would persuade the Islamic Republic to abandon its pursuit of nuclear weapons. Iran confirmed this week that it had halted its centrifuges which enrich uranium as part of the agreement, but Rouhani confirmed that they had never agreed to dismantle those centrifuges. “So, there will be no destruction of centrifuges?” Zakaria asked. Iranian Foreign Minister Javad Zarif recently accused the White House of misrepresenting the terms of a nuclear deal to include the dismantling of the equipment used to enrich uranium for atomic weaponry. 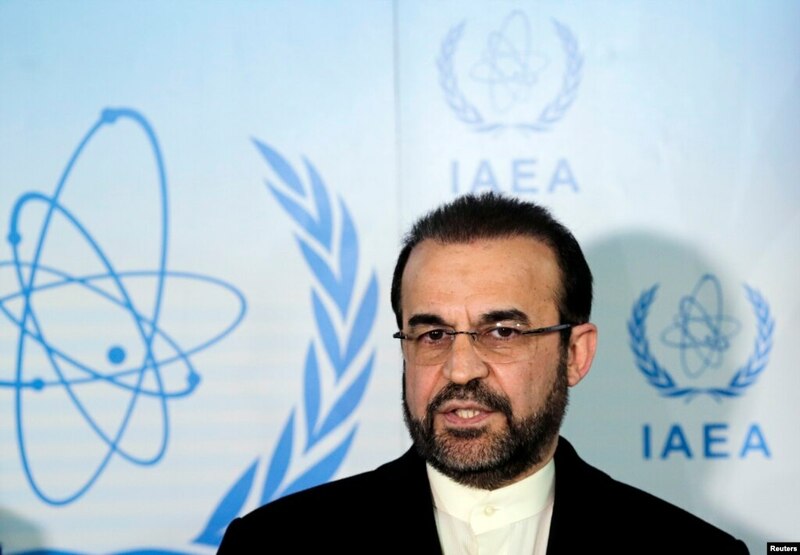 FILE – Iran’s ambassador to the International Atomic Energy Agency (IAEA) Reza Najafi attends a news conference at the headquarters of the IAEA in Vienna, Dec. 11, 2013. VIENNA — An apparent delay in Iran’s building of a nuclear conversion plant suggests its stockpile of low-enriched uranium (LEU) gas will grow for a while longer, despite Tehran’s deal with world powers to curb its disputed atomic activity. Among other steps, Iran agreed under the six-month accord – which took effect on Monday – to limit its LEU reserve. The new plant is meant to achieve that by turning the material into oxide powder that is not suited for further processing into high-enriched – or bomb-grade – uranium. Diplomats and experts said the matter was of no immediate concern since Iran’s commitment concerned the size of the stockpile towards the end of the deal, in late July, giving it time both to complete the facility and convert enough material. But one Vienna-based envoy said Iran’s progress in building the conversion line would be closely watched as part of the implementation of its obligations under the accord with the United States, France, Russia, Germany, Britain and China. „It will be a problem if the facility is not completed in the next few months,“ Mark Fitzpatrick, director of the non-proliferation program at the International Institute for Strategic Studies (IISS) think-tank, said. While Iran this week halted its most proliferation-sensitive work, enrichment to a fissile concentration of 20 percent, it is allowed under the interim agreement to continue producing uranium refined to up to 5 percent. Iran says it is doing so to fuel a planned network of nuclear power plants, not to develop bombs as the West fears. Uranium must be enriched to a high degree – about 90 percent fissile purity – for a nuclear weapon. The powers negotiated the ground-breaking deal with Iran to buy time for talks on a final settlement that would remove the risk of a new Middle East war over Iran’s nuclear aspirations. They focused initially on securing a halt to 20 percent enrichment as this represents a relatively short technical step from bomb-grade uranium. It would take much longer to reach that threshold from the 5 percent level. „Although the immediate attention is focused on removing the stockpile of 20 percent enriched uranium, it is important not to forget about the much larger stockpile of 3-5 percent enriched uranium,“ Fitzpatrick said. Experts say Iran potentially has enough LEU for a few nuclear weapons if refined much further. Limiting its overall enrichment capacity is expected be one of the thorniest issues in future negotiations. Reflecting Western concern also about the lower-grade stockpile, the United States says Iran has undertaken to not increase it so that it is not larger in half a year’s time than it is now. A senior U.S. administration official said Iran would „convert all of the newly enriched uranium“ into oxide and that the total remaining uranium gas would be less than 7,650 kg. It had a stockpile of 7,154 kg in November – experts say this would be enough to yield four-five bombs – and is estimated to produce roughly 250 kg per month, meaning the stockpile will grow by that amount if there is no conversion to off-set it. The longer it takes to complete the plant, the more Iran will have to process to meet the target by the six-month deadline. The U.N. nuclear watchdog confirmed on Monday that Iran had started carrying out its part of the agreement, enabling the European Union and the United States to ease some sanctions. But the International Atomic Energy Agency (IAEA) also said Iran was continuing to construct the plant for converting the LEU gas, the Enriched UO2 Powder Plant (EUPP). That pointed to a delay from a timetable cited by the U.N. agency in a November report, which said Iran had indicated that tests of the EUPP would start in early December, „immediately after which the facility would commence operation“. 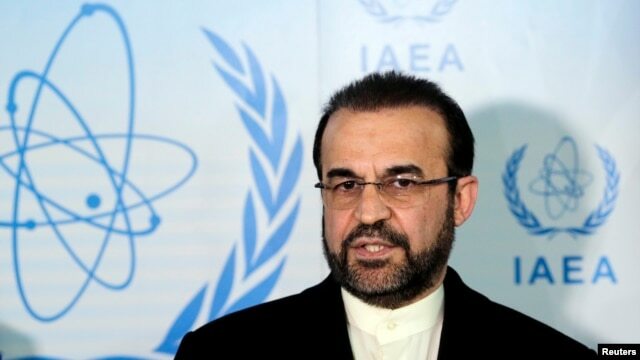 Herman Nackaerts, the head of the IAEA’s non-proliferation inspectorate until mid 2013, said it appeared to be taking the Islamic Republic a „bit longer“ than initially anticipated to complete the facility. But he added that Iran had mastered the technology for converting uranium gas into oxide, suggesting it had the know-how for building such plants. A diplomat familiar with the issue said he did not see the issue as posing any major risk and that „with sufficient equipment it should be reasonably easy“ for Iran to complete the conversion process in time. Another diplomatic source suggested that the plant could be completed soon. In the longer term, Western experts say, any final deal should scale back and set strict limits on Iran’s enrichment programme to ensure that it would not be able to build a bomb without the outside world finding out in time. However, it is no longer seen as realistic to expect that Iran halts all such activity, as demanded by a series of U.N. Security Council resolutions since 2006, they say. „Obviously we would like, as an ideal arrangement, for Iran to have no enrichment capability and no stockpile,“ another U.S. official said. These statements were sufficient to stir up instability and frighten people across Iraq. Laying behind them was the deliberate intention to quickly trigger a sectarian civil war. Maliki’s startled political opponents rejected these sectarian and reprehensible statements, which may well lead the country into the abyss of sectarian civil war. Most prominent among them are leader of the Sadrist Movement Muqtada al-Sadr, leader of the al-Iraqiyya bloc Iyad Allawi, [Iraqi Front for National Dialogue leader] Saleh al-Mutlaq, and others. What is behind these statements, why are they being made now, and what will their repercussions be for Iraq and the region? To start with, one cannot overlook Maliki’s visits to both the White House and Tehran, from which he failed to win approval of a third term. It is noteworthy that the military attack on the ISIS and al-Anbar was prepared directly after the two unsuccessful visits. What else could he do but blow up the situation and steer the country away from preparations for the upcoming parliamentary elections, which will confirm his failure to secure a third term thanks to his own Shiite coalition’s insistence that he be absolutely excluded? Given his escalating crises with political opponents, particularly the Sadrist Movement and the Kurdistan Alliance [DPAK], Maliki has no option but to return the country to the furnace of civil war – a war blessed by the Obama Administration and supported by aircraft, missiles, etc. It is blessed, too, by Tehran, which is making all needed military and political preparations for a sectarian war and intervention (remarks by Iranian leaders expressing a willingness to participate in the war against the ISIS in Iraq make this obvious). So off to al-Anbar Maliki goes, leaving his desert war with the ISIS behind him, and pouring scorn on the people of al-Anbar, disturbing the same wasp’s nest as the American invaders. A few days ago, one U.S. Army commander said that Maliki will lose the war in al-Anbar “as we did.” Consequently the people of al-Anbar in Ramadi, Fallujah, Qaiem, Ratbeh, Saqlawiyyah, Karmeh, Hadithah, Mashahdeh, Tarmeyyah, Abi Gharieb, and other constituencies and districts, have revolted against Maliki’s forces. War has broken out in the constituencies and districts of al-Anbar, Karkouk, Ninawa and Diala Provinces. It has transformed from a war against the ISIS to a civil war, which is precisely what Maliki wanted: a war between the descendants of Hussain and Yazid – without providing a clue as to who the descendants of Hussain or Yazid are in this filthy damned war. Like it or not, this is the situation in Iraq. The proof can be found in the sectarian provocations offered via satellite TV by both sides. It is the same state of affairs as is occurring in Syria, where a civil war is being waged between Iran and its Revolutionary Guard, its Iraqi militias, Lebanese Hezbullah, and the army of Bashar al-Assad, against the Free Syrian Army, the Islamic Front and the al-Nusra Front. Notice how the goal is the same in both Iraq and Syria: to stir sectarian war. And notice that backers of both wars are also the same: the Iranians and Americans. 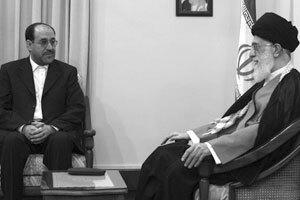 NCRI – Based on documents and reports obtained from inside the Iranian regime, Khamenei commended Nouri al-Maliki in his meeting with him on 5 December 2013 for the attack on Ashraf and mass murder of the PMOI members. He tasked Maliki with increasing pressures and attacks on the Liberty residents and to provide further facilities and freedom of action for the IRGC and the Quds Force in Iraq. He told Maliki to put an end to the PMOI dossier in Iraq as soon as possible. Reiterating that the September 1st attack on Ashraf has had very positive results for both countries, Maliki committed himself to fulfill Khamenei’s orders in this regard. Khamenei also ordered Maliki in the meeting to carry out military expedition to Anbar province and to cleanse there. He stressed that the Iraqi government must “fight against terrorism in al-Anbar” and “to wrap up the sit-in sites”. Maliki expressed his full readiness for this mission, but stressed his need of Iranian regime’s comprehensive support in this regard. Khamenei underscored his support for him in this fight including providing him with sophisticated weapons and intelligence support as well as the Quds Force commanders’ help for planning and commanding the attack. Khamenei presented a report on his trip to the United States and his meeting with the U.S. President and officials. Khamenei said in this regard that the GOI should not rely on the U.S. whatsoever, and “the future of Iraq will be guaranteed in relation with Iran and Syria.” Maliki emphasized that the Iranian regime is the main support for the GOI, and protection and survival of Shiite rule in Iraq can be sustained only by relying on the Iranian regime and the Supreme Leader. Thereby, he is asking for expansion of military, security and economic cooperation with the Iranian regime. While appreciating Maliki’s and his government’s full support for Bashar Assad, Maliki asked for heightening of Iraq’s support to Syria and providing further facilities for transferring troops and weapons from Iraq’s land and air to Syria. He emphasized Bashar Assad’s military achievements before Geneva II conference and said that Bashar Assad’s victory is necessary for Maliki to continue his post as prime minister after the April elections.